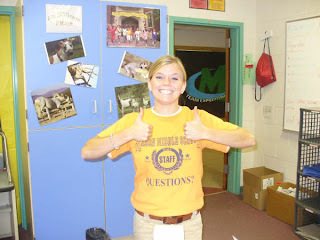 Liz Lothrop Update: Wear Orange! 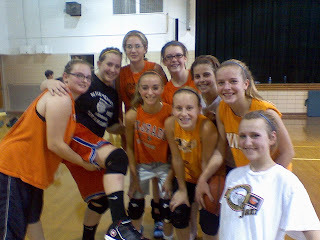 Little Miami JR High Girls basketball team! classmates at mason middle schooL! I have lots of pictures from today already and I will be making another post soon with more :) IF you WORE ORANGE TODAY! : send me an email with your pictures to catherineclothrop@hotmail.com and I will put them on the blog, sorry if I don't get them all on here there is so many I am just picking and choosing but send me more of them ! ! 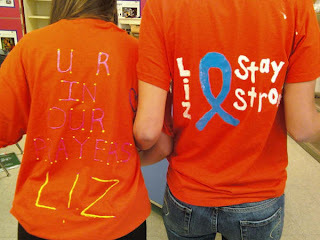 Praying hard for you Liz and family. Hang Tough!! So many people were wearing orange today! You have so much support out there. 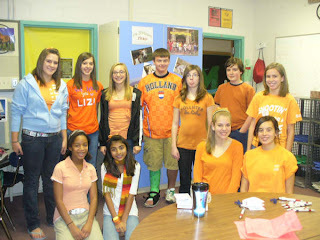 At intervention, we were allowed to leave to take a picture if we were wearing orange, and there were only three people in my whole class who were wearing a different color! We love you Liz. Fight on, we'll keep praying. We are all wearing orange today!!!!!!! I hope all your procedures come out good today. jumping on the trampoline in orange! We sent them to Catherine. Also- We will send a picture of all the Moms In Touch moms who are praying for you today and always. 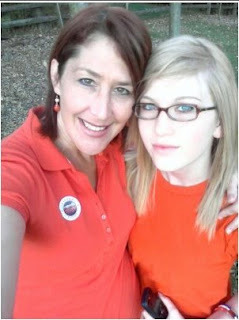 The Reeds wore orange today! And we're thinking of you. Praying for continued miracles in your life Liz! Game on, go get 'em! so i went pretty crazy with orange . it was fun :) oh and i told my physical therapists to wear orange . ha and the moms at my bustop wore orange . sebest one yet . . . armstrong wore orange :D it was great . coming on friday i think with more snowmen . the whole school is cheering you on ! i love you liz ! So many people were wearing orange today it was unbelievable. I didnt think that people had all those clothes. i had to go buy a orange shirt last night and the only size left was a XXl. it was huge. Good luck today with your bone marrow. everyone wore orange today!!! i even got kyle to wear orange. the shirt he wore was really ugly but he wore it for you anyway. you have so much suppport. stay strong! its amanda kallach, you dont know me that well, basketball mainly. Anyway i just want to let you know that you are in my prayers and i hope so much that you get better. I love you liz!